It's a conflict that does not seem to have a fullstop to it. It's an on-going battle between 2 sides. And this time, the bigger, more powerful side has taken things to the extreme. Killing close to 1000 civilians in the past 3 weeks. It's the 'Gaza Conflict'. 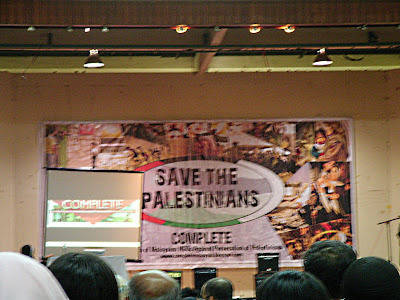 My mum and I attended a campaign 'Save the Palestinians' organized by 127 Malaysian NGOs in Bangsar today. 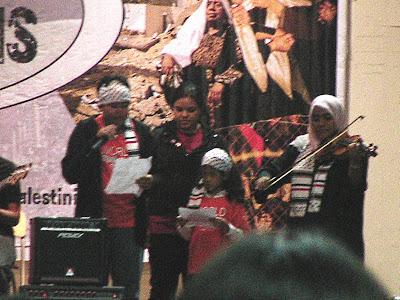 There was a huge turn-out and even former Prime Minister, Tun Dr. Mahathir Mohamad and the Jazz Queen, Sheila Majid were present to show their support for the Palestinians. 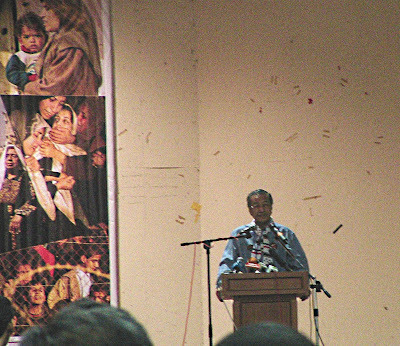 In Tun Mahathir's speech, he mentioned how Malaysians should boycott American and Israelis goods. The boycott will not stop the Gaza conflict or change Americans' policies directly or immediately but it's a beginning of a long struggle. A struggle to oppose those who take advantage of the defenseless and the voiceless. A struggle to oppose those who take the easy way out through violence. If the Palestinians are deemed as terrorists because they fight back their bullies who have terrorized and occupied their lands unlawfully, what are the Israelis then? One thing for sure, in this day and age, one can easily occupy another country with its might and power but one can never conquer it. Body, mind and soul. While the Palestinians are struggling to live on, let's not forget them in our prayers. Enough is enough! Take a stand against the big bullies now. Do something. 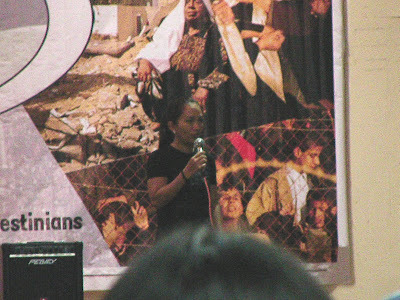 Because mere silence is the deadliest weapon of mass destruction. Vote now to make war a crime! I'm glad there's ceasefire finally but we must continue giving our humanitarian aid cos' the schools gone..hospitals as well.I cannot imagine any government can be so evil as the Israelis'.Very barbaric.Not civilised at all!